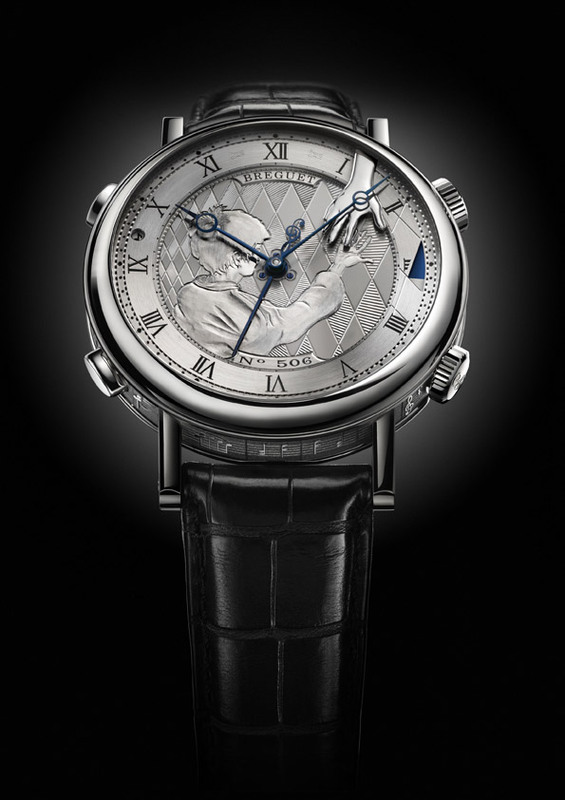 Breguet presents a unique creation, Réveil Musical, at the fourth edition of the world’s first luxury watch charity auction, Only Watch 2011, to be held on September 22, 2011 in the Principality of Monaco. The watch has a patented music box-type mechanism which enables this one-of-a-kind white gold Réveil Musical watch to play an equally unique tune, “Castle in the sky”, either on demand or at a pre-set time. The entirely original dial bearing a child’s hand completes a full rotation to touch the adult hand appearing on the flange. Under the High Patronage of HSH Prince Albert II, 39 of the most prestigious and/or innovative Swiss watchmakers will auction a one-off model especially created for this unique event, to collect funds for research on Duchenne Muscular Dystrophy. The Only Watch 2011 collection will be showcased in Singapore, Hong Kong, Shanghai, Beijing, Tokyo, Los Angeles, New York, Milan and Geneva from August 30 to September 17, 2011. The tour will end in Monaco for a two-day exhibition (Sep. 21/22) at the Monaco Yacht Show, the world leading Superyacht show which co-organises Only Watch with the Monaco Association against Duchenne Muscular Dystrophy, and with Antiquorum Auctioneers who will also hold hammer.